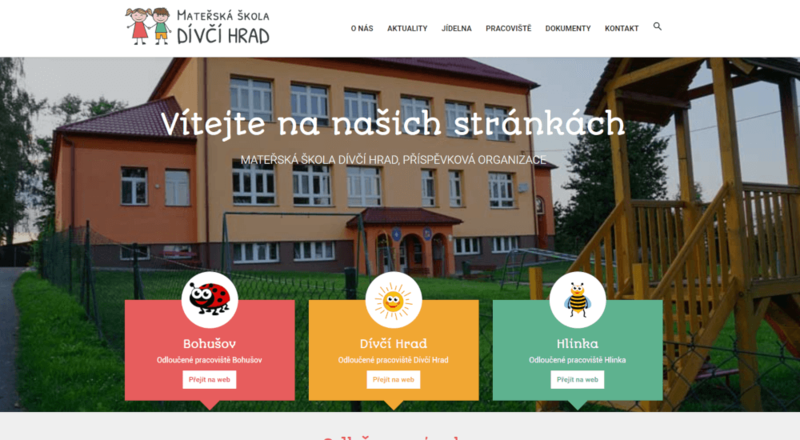 Official website for kindergarten with three branch offices in Dívčí Hrad. Brand new website create for three branch offices with divided sub-sites in network sharing one domain but holding different data sets. Website providing information about organization, docs library, dining room meals for next weeks and so on. Funny design with children topics. Three different color schemes with different logo types for every branch and entry page.